At Budget Signs & Specialties, we make you look good. For less. When you need top quality printing fast, we are your best source for both. 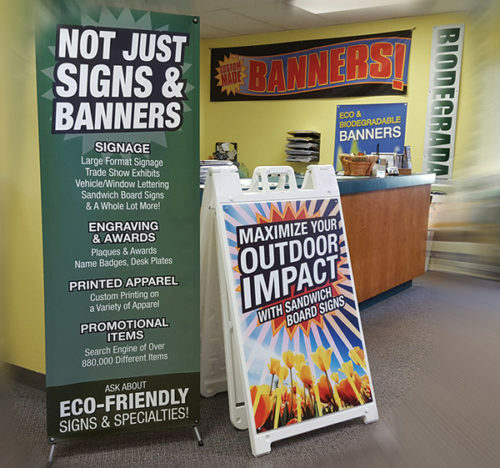 Our large format UV printer allows us to print premium quality four-color printing onto a variety of signage and banners. Other printers use cheaper solvent printing that put volatile organic compounds into the air, produces extra waste byproducts and has limited quality. Our unique printing process allows us to print your graphics in full color, with precision and long-lasting quality. Whether you need a single sign or a large quantity, we can make your order look good at a price to fit your budget!